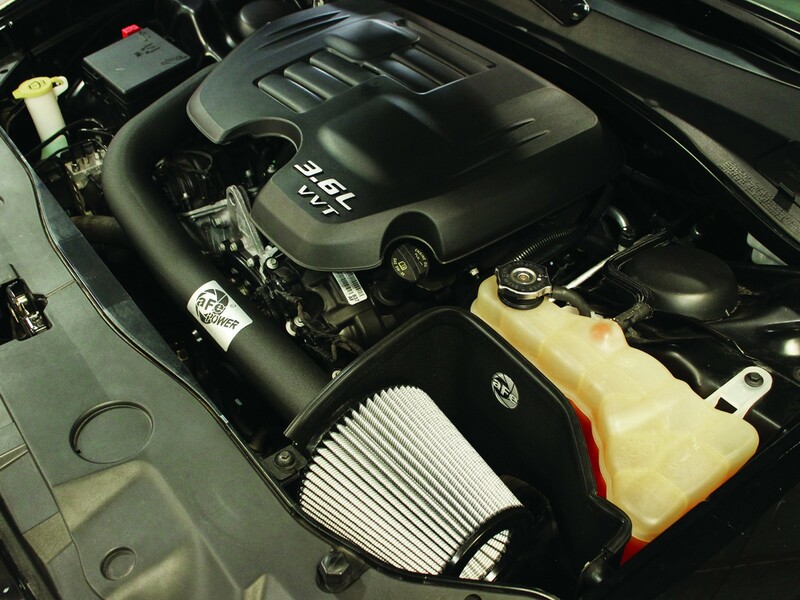 This cold air intake system produced up to 13 HP, 17 lbs. 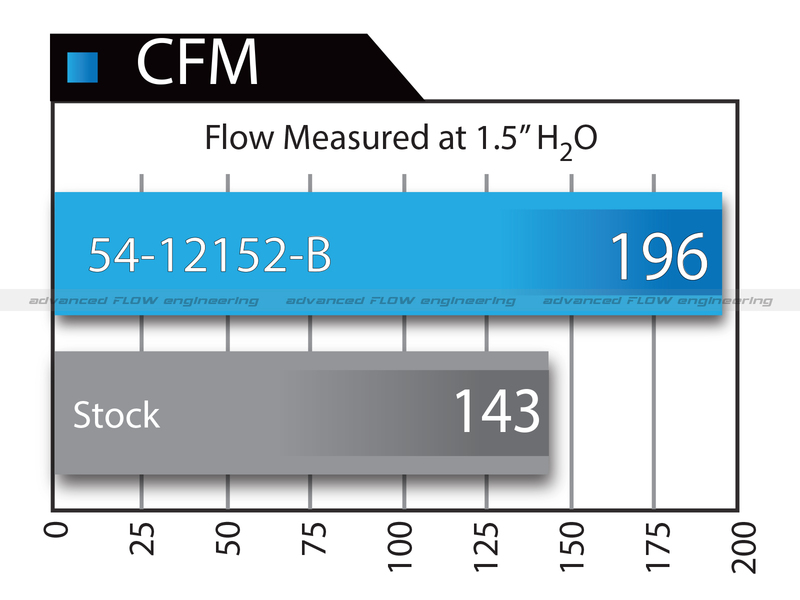 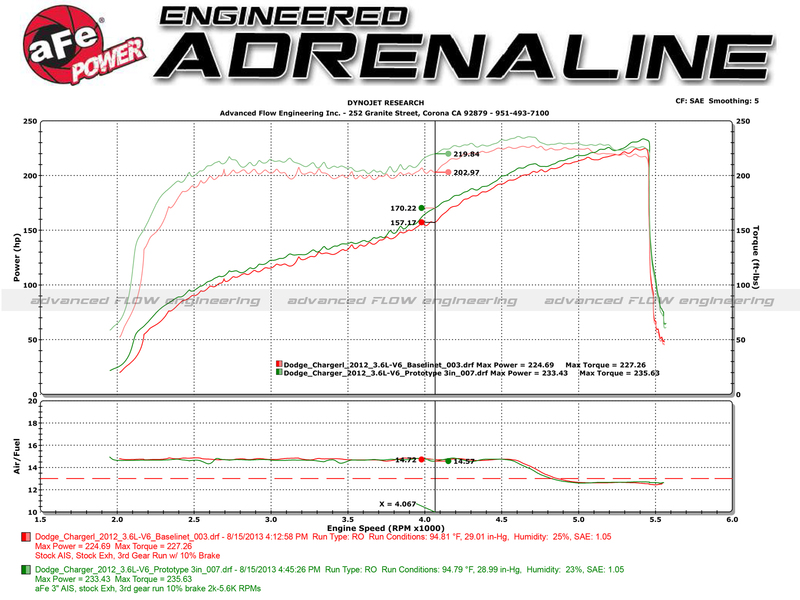 x ft. torque and out-flowed the factory intake by 37%. 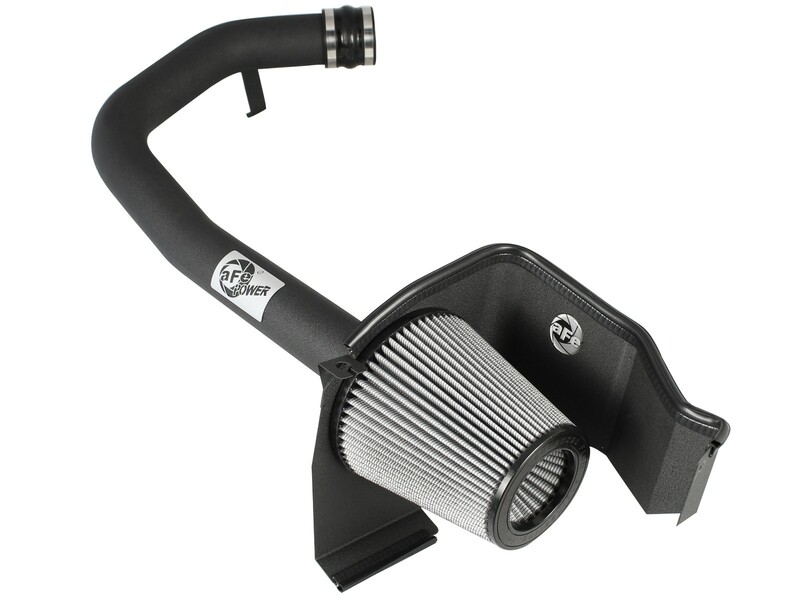 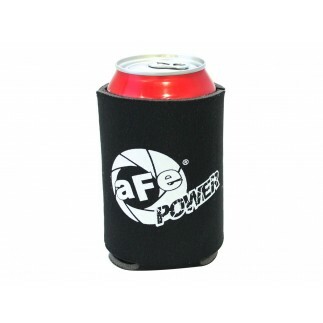 Included in this cold air intake system is a 18 gauge powder-coated heat shield and a massive 8 IN tall, oil-free aFe Power Pro DRY S filter. 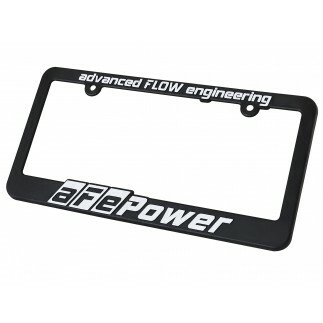 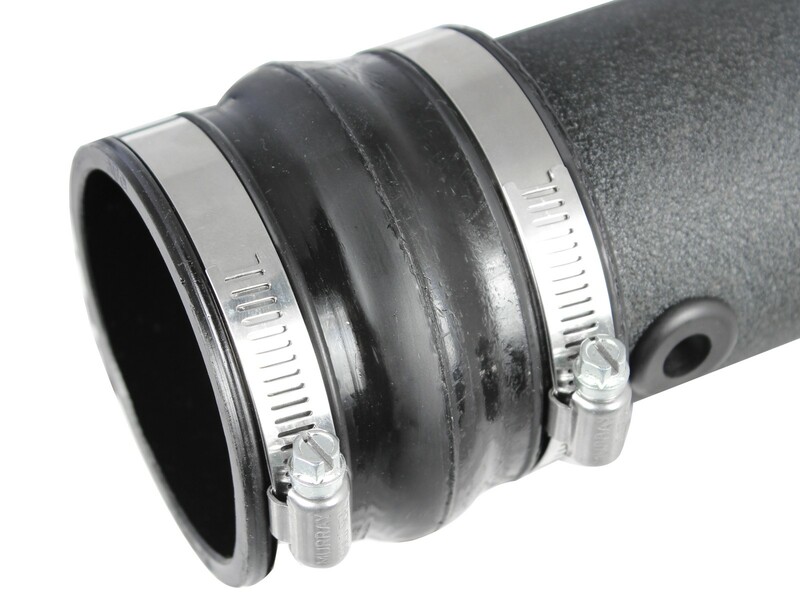 The air filter uses a unique patent pending flange retention design that allows the filter to be securely mounted to the heat shield without any hardware. 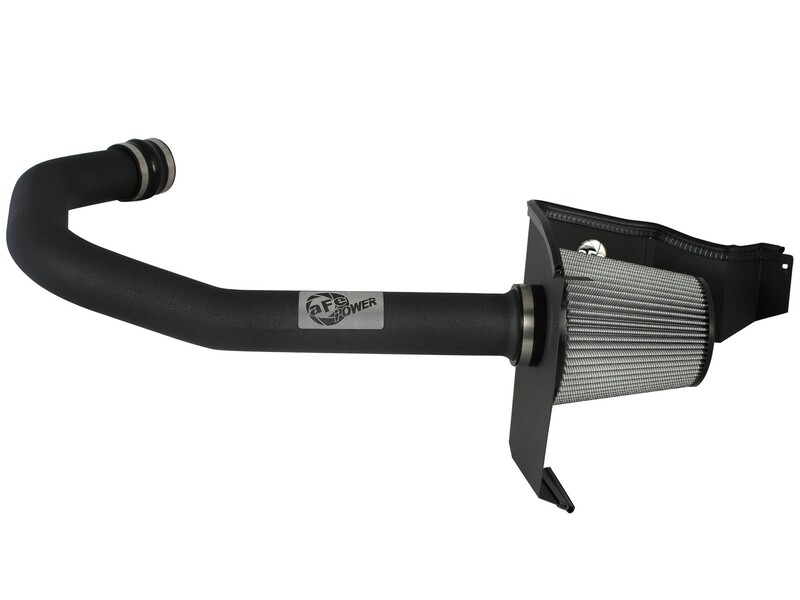 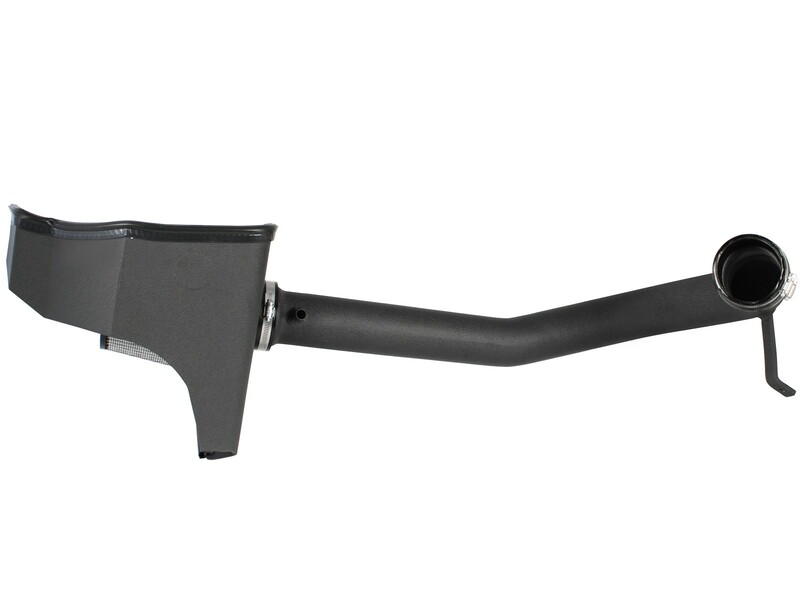 A huge 1-piece mandrel bent wrinkle-black powder-coated intake tube maximizes air velocity providing maximum performance and throttle response. 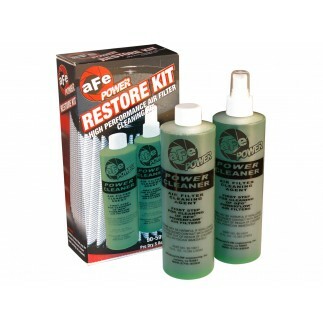 This is a direct bolt-on kit and requires no cutting or drilling. 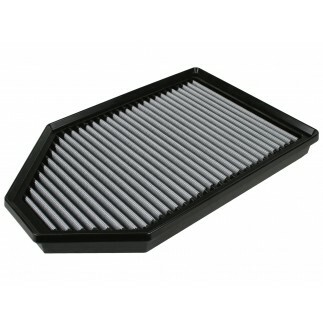 A massive 8 IN tall air filter is used for maximum filtration convenience (requires no oils to clean). 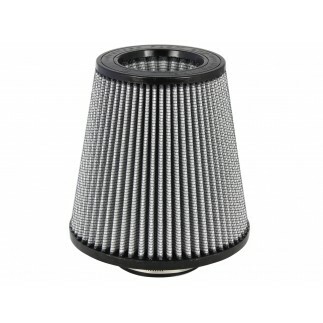 The Pro DRY S performance air filter features 3-layers of progressively finer mesh synthetic "oil-free" media and is constructed with 100% polyurethane for long life and multiple cleaning cycles.